Good news. 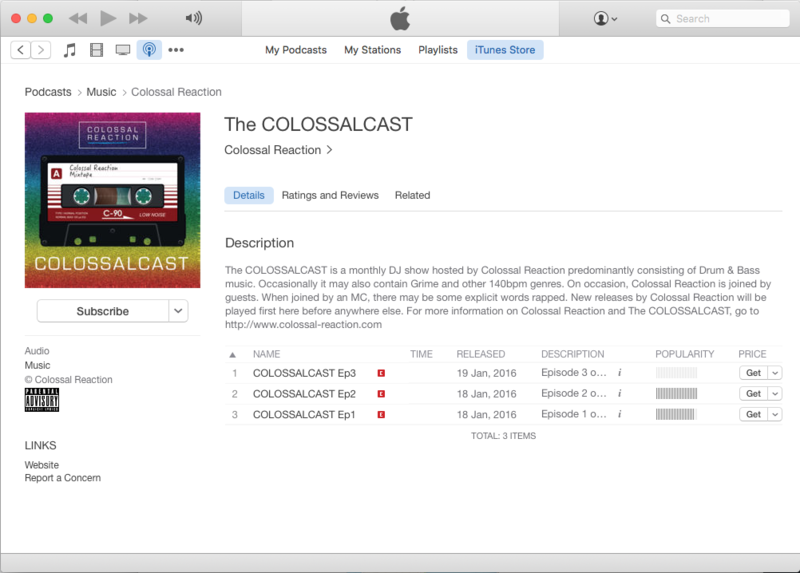 The COLOSSALCAST is now on the iTunes store. Previously only available on Mixcloud, The COLOSSALCAST is now available to download to your computer or iDevice. Simply search for it in iTunes or click here.